Dr. Winkler is an extremely talented and dedicated physician who listens carefully and considers the whole health history as he develops a treatment plan. He's appropriately cautious and will demur on a procedure if therea's a safer alternative. However, if a procedure is warranted, he has the talent to do it well. About Dr. Thomas Winkler, M.D. 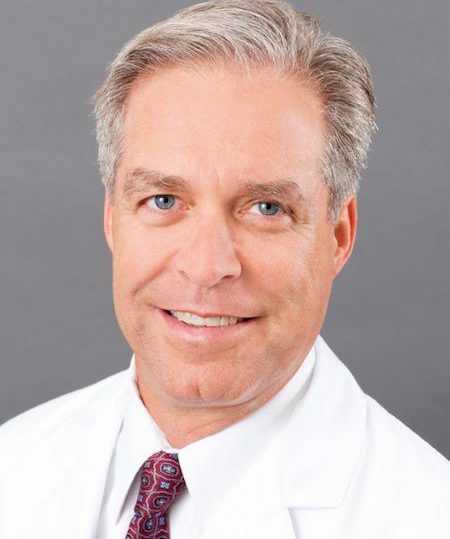 Dr. Thomas Winkler is a graduate of the Georgetown University School of Medicine in 1987. He is a recipient of the United States Health Professions Scholarship Program and completed his residency training in Otolaryngology- Head and Neck Surgery (Ear, Nose and Throat) at Madigan Army Medical Center in Tacoma, Washington in 1995. He is board certified by the American Board of Otolaryngology, and is a Fellow of the American College of Surgeons. Dr. Winkler served as a physician in the United States Army for ten years. He was commander of the Babenhausen Health Clinic, providing primary care to approximately 5,000 soldiers and their dependents with the 41st Field Artillery Brigade in Babenhausen, Germany prior to completing his residency. During Desert Shield, he served as the commander of the Wiesbaden Airbase Clinic in Germany. While stationed in Landstuhl, Germany from 1995-1998, he served as the officer-in-charge of the Head and Neck Trauma Team during the Bosnian War. He completed ten years of service with the United States Army Medical Corp in 1998. He then entered private practice and founded Chevy Chase ENT Associates, LLC. He is past president of the Georgetown Clinical Society, the Osler Society, and the Sibley Medical Association, medical societies in the Washington, D.C. area. He provides pro bono care to the uninsured and indigent with Catholic Charities (www.johncarrollsociety.org) and Torture Abolition and Survivors Support Coalition. (www.tassc.org) He has been selected Top Doctor by his peers as recognized in Washingtonian Magazine, Washington Consumer's Checkbook, and U.S. News and World Report since entering private practice in 1998. Dr. Winkler is a Clinical Assistant Professor in the Department of Otolaryngology at Georgetown University Medical Center. He has special interests in: nasal and sinus disorders, sleep apnea and snoring, children's ENT disorders and pediatric surgery, and endocrine surgery of the thyroid and parathyroid glands. He has privileges at Georgetown University Medical Center, Sibley Memorial Hospital, Chevy Chase Surgery Center, Private Surgical Suite, and Belmont Surgery Center. Dr. Winkler is married with 4 children, residing in Bethesda, Maryland. He is an avid tennis player and cyclist, a former gymnast. He is active with the John Carroll Society, having served as chair of the Rose Mass for three years. He is also a photographer, a practicing prestidigitator and cellist.